We believe that beauty is power, and smiling is its sword. So fight for the healthy smile you deserve! It is our mission and our pleasure to assist you in getting back your beautiful smile, through our meticulous work, expert eyes, and cutting-edge technology. We all dream of an aesthetic and confident smile, without harming our teeth with harsh treatments. The solution is here – dental veneers; safely masking tooth imperfections. 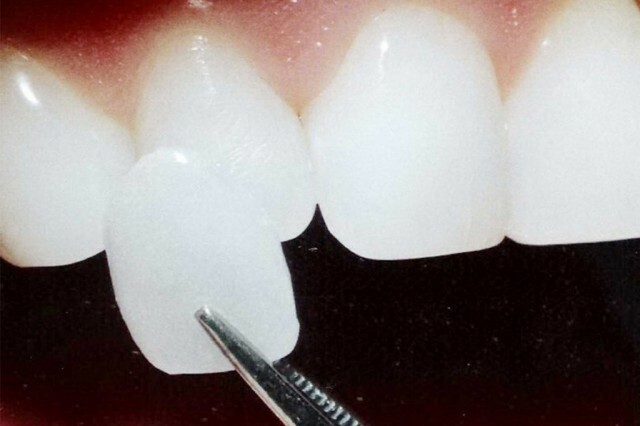 A thin layer of dental veneer, made up of composite resin or porcelain, is bonded to the surface of the tooth. The veneers are custom-designed for each individual, to improve the appearance of broken or damaged teeth, and to permanently increase whiteness. 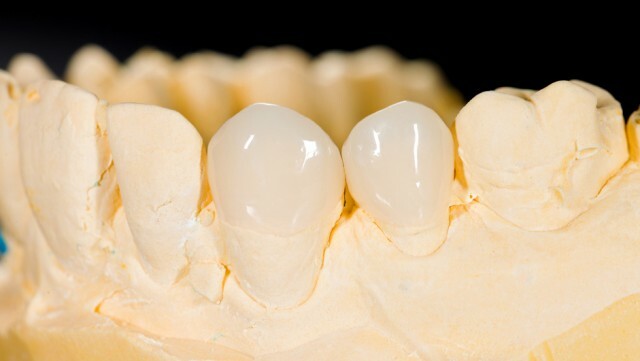 Porcelain dental veneers comprise a thin layer of porcelain which is bonded to the front of a tooth. Porcelain is durable, stain resistant, strong and natural-looking. A beautiful material. Porcelain dental veneers will give you incredible results and are the most commonly recommended solution. Porcelain dental veneers deliver ideal aesthetics, with appropriate translucency matching natural tooth material, and are just 0.3mm thick. Porcelain dental veneers give you manficient colour intensity and an indistinguishable true-to-nature effect. 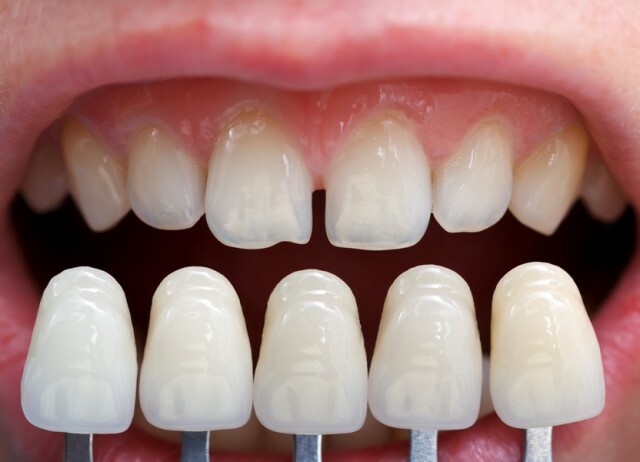 Veneers improve discolourations such as tetracycline staining, fluorisis, and darkening from age – that can’t be treated by conventional methods such as polishing and bleaching. 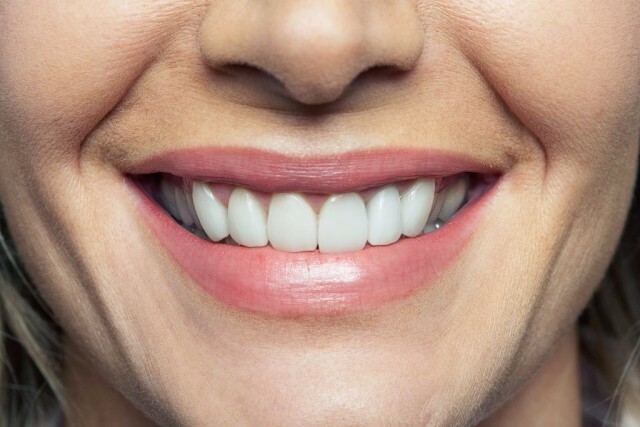 Veneers can repair slightly chipped teeth. Veneers can be employed in closing diastema between teeth. 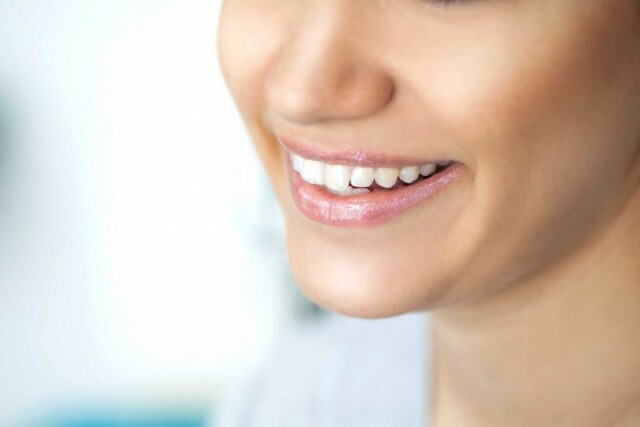 Veneers can improve teeth with slight misalignment or rotation. Veneers play an important role in achieving that Hollywood smile. The Hollywood smile is not a product sold by your dentist, but a procedure through which you can achieve the best smile to match your personal facial structure and appearance. The procedures involved will vary depending on your requirements; some may need only simple whitening of the teeth, while others may require slight adjustments and dental veneers to achieve their best smile. Before the final application of veneers, a temporary composite veneer will be installed. This will resemble your natural teeth and may not appear as white as the final veneer. During this phase of the procedure one should avoid hard foods, biting your nails, or acidic drinks. Brush with a soft toothbrush. Floss between the teeth once per day. Avoid or minimise consumption of staining foods such as tea, coffee, soy sauce, curry, cola drinks, grape juice, blueberries, red wine, etc. Avoid or minimise smoking of tobacco. Do not routinely use mouthwash, as the high alcohol content can weaken the bond between your veneers and the underlying tooth. If you wish to use a mouthwash, choose an alcohol-free product. Avoid using your teeth to, for instance, open packages, cut sellotape, and so forth. Toothpicks should not be used, nor should you bite your nails. Visit your clinic regularly for checkups and to detect and problems which may arise. Book a consultation with one of our expert dentists today who will be happy to answer any questions you might have about using veneers to improve your smile.